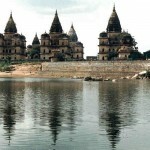 The town of Deeg is situated only 38 km from Mathura and 34 km. from Bharatpur. Once it served as the second capital of the region. The town is known for its magnificent palaces constructed around the mid 18th century. 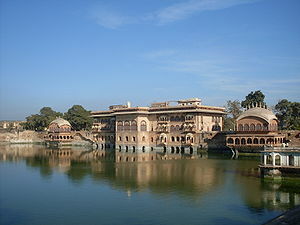 The places are rich in history and one can observe the strong Mughal influence through the arts and architectures here. An extraordinary feature of the palace complex of Deeg is fountain system, which is fed by water stored on the roof of the Keshav Bhawan. The engineering skill, which went into the construction of such an enormous rooftop reservoir, is unparalleled in India. This entry was posted in Deeg, Rajasthan and tagged Keshav Bhawan, palaces. Bookmark the permalink.